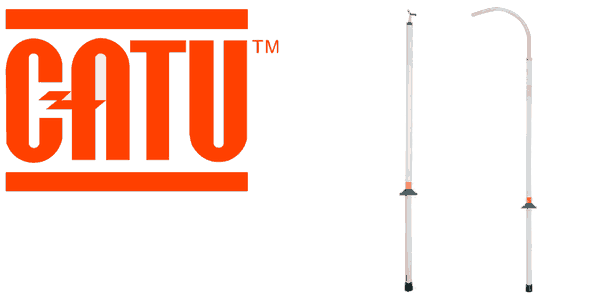 CATU rescue hooks & sticks are an essential electrical safety item for the retrieval of victims from electric shock and are insulated from 45kV up to 225kV. 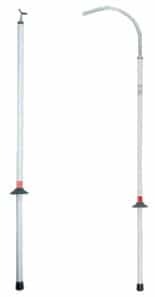 Rescue hooks & sticks protect against electrical shock and are a common feature of electrical substations and are constructed from a white resin polyester/glass fiber foam filled tube. Rescue hooks are suitable for switchrooms, substations, plant rooms, generator rooms, UPS battery rooms and computer/data centres.